Is It Even Possible to Be an Optimistic Environmentalist Anymore? It seems like you hear all sorts of negative, terrifying, inside-squeezing statistics and study results about the dying marine ecosystems around the world these days and how humans are just destroying all things beautiful in the natural world. It's like someone has gone and painted black streaks over the vibrant blues and greens of the sea of my mind. Sometimes it gets to be too much. There are days when it causes me to panic, and fret, and feel depressed about why I am living in this time period and not one hundred, or even fifty, years ago, when the marine world might have been a lot more pristine. Or at the very least, why couldn't I have paid more attention when I was snorkeling in Cabo and Hawai'i fifteen years ago, or the Great Barrier Reef five years ago, before the bleaching epidemics stripped so many of the reefs of their vitality? Why did I start falling in love with the underwater universe right as the world is realizing how badly it's hurting? I know that this is selfish. With these thoughts, I'm focusing on my own pain and distress, but I also know that it's okay and even necessary to let myself feel these emotions. If I don't first accept and process the facts, the truths, and the current situation we are in as a society, I can't move past them. We all have our own methods of coping. 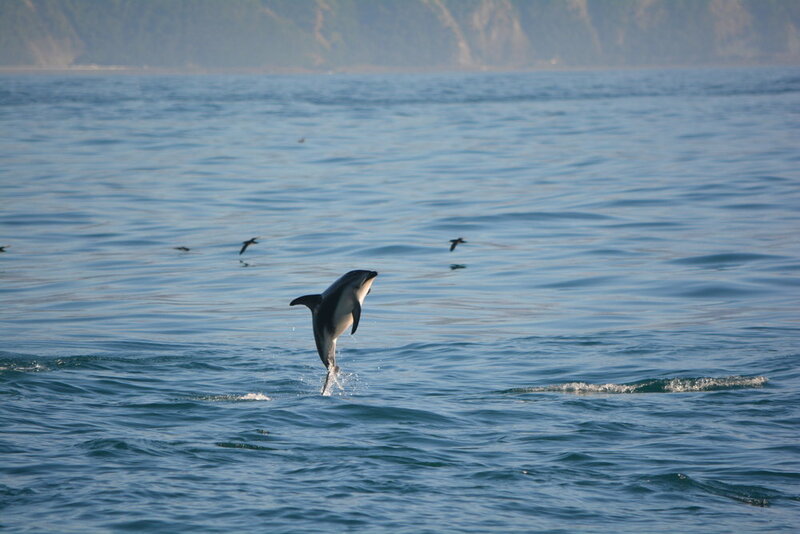 I am often uncertain of just how to come to terms with the fact that my day-to-day life, my passion, my job, places me in the challenging position of simultaneously taking visitors out to see amazing, beautiful creatures in the ocean and trying to communicate that we as humans are destroying their home - all with a positive, upbeat spin. 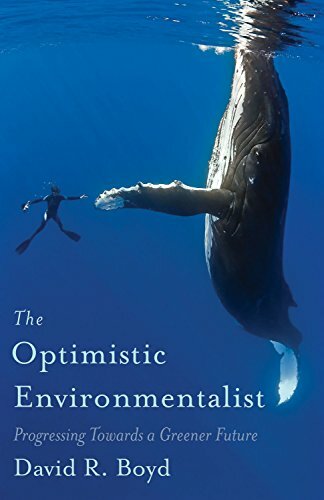 How can I inspire hope and motivation every day when I continue to read about overfishing, acidification, pollution, plastic, dead zones, oil drilling and spills, marine mammal hunting, shark finning, rising ocean temperatures, coral bleaching? It's downright overwhelming when you look at the big picture, and the future seems rather bleak. But what if we focused instead on the success stories? There's plenty of them, too. Endangered species coming back from the brink of extinction. The formation of new marine protected areas and national parks. The banning of toxic chemicals. The huge growth of renewable energy. Could this be the antidote? I'm no psychologist, but I do know that positive thinking plays a huge role in our motivation and ability to take action. My own mindset has been shifting over the past year. I'm sick of feeling helpless and lost. I want to do what I can, with what I have; that is the most that we can ever ask anyone to do. I've started looking into studying marine environmental protection so I can have a greater impact in this field. I want to find my niche in the marine world, and protect it with every fiber of my being. I want to dedicate my life to something meaningful. I don't want to spread myself too thin, because one person can't possibly tackle all of the ocean's problems in a lifetime. I now believe that I've fallen in love with the sea in this decade for a reason. The ocean needs people who will fight, and I've got my boxing gloves on. And this is what I'm thinking for anyone else who's wanting to make a difference or a change. Do what you can, right now. Stop waiting. I'm not even just talking about marine conservation. In your life, right now, what do you want to fight for? What are you holding yourself back from because of a fear, or a feeling of helplessness? There's always one small step you can take, the first move, the leap of faith. That's the scariest part. But that's how you build momentum. That's how you grow, and that's how the world changes. And you might just find some allies along the way. Volunteer. Learn. Teach. Try. Change someone else's day. Inspire someone. Inspire yourself. Take self-care seriously, so you can be ready to take on your world. Drink lots of water. Sweat. Get in the sea. Eat green things. Meditate. I don't know how many times, in my conservation talks, I've babbled on about reducing our use of single-use plastics. No straws! Reusable bags! No plastic water bottles! It's on repeat. Is it making a difference? Do the passengers roll their eyes? Do they stop and think? Do they ignore me or tune me out while they're watching dolphins leap around the boat? Or are they already trying to be as responsible as possible with their resource consumption and environmental footprint, and they think I sound condescending? It's probably a mix, as I can't even comprehend how many guests I've interacted with over the last three years and its a very diverse bunch, but I hope that at least one person every trip hears what I say with an open mind and heart and maybe considers something that had never crossed their mind before. Refresh your perspective. It is possible to be an optimistic environmentalist, but it's not going to be easy. You need to work at it. It starts here, and it starts now.